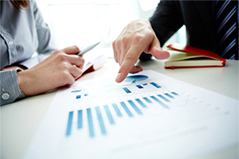 HDPlus provides enterprise consulting for manufacturing, banking, and healthcare industries. We offer 20+ years of experience supporting high-end, mission critical business systems. Our team is comprised of industry experts, who have designed and implemented strategies to reduce risk, cost, and to improve performance and reliability. We specialize in SAP and Oracle eBusiness applications, including custom development, tuning, and the supporting infrastructure. Our technology team has designed and implemented global ERP systems, ITIL based supporting processes, and disaster recovery scenarios which include an RPO/RTO to meet your business demands. As experts in the field, we have managed and developed strategies to resolve the same issues you are experiencing today. Let us bring our experience to the table and help you reduce cost, risk, and time-to-market. Along with our long-standing reputation of provide exceptional service backed by experience, we have also launched a suite of IT management software and products that work seamlessly to improve uptime and reduce cost. HDPlus is a suite of tools designed by IT experts and managers to assist IT professionals in the execution of their daily tasks. Our experienced team can provide IT services and business software solutions, from system assessment and system design to IT management and problem resolution.